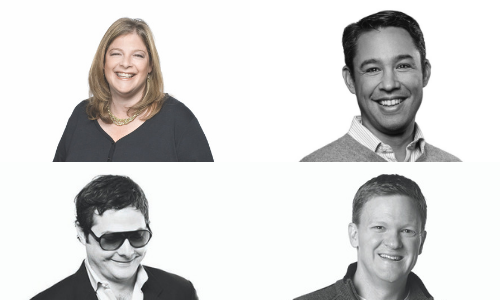 Jack Morton, the global brand experience agency, appoints three executive leadership roles. Craig Millon was named chief client officer, Edward Scott was promoted to president, U.S., and Sharon Crichton rejoined the agency as executive vice president, global head of production. The appointments came in after Jack Morton has reported several high-profile wins last year and continued to expand client relationships across the agency. Millon has been instrumental in the growth of Jack Morton since 2012, previously serving as executive vice president on the Executive Team. In his new role, he will lead account services and business development, and continue to oversee Genuine, its technology agency. He will be focused on new and organic growth opportunities across all geographies and enhancing the overall client experience. Meanwhile, Scott will join the executive team and oversee the Boston, Chicago, New York, Princeton and West Coast operations, working closely with managing directors in each of those markets to propel growth and collaboration. Scott joined Jack Morton’s New York office back in 2010 and has held senior positions in Sydney, Hong Kong and San Francisco, where he served as managing director of Jack Morton’s West Coast operations. He has led award-winning events, experiences and integrated campaigns for a diverse portfolio of clients across many industry verticals. For Crichton, she rejoined Jack Morton from George P. Johnson where she was vice president of live production and operations, and general manager New York and Boston. She will join the company’s executive team and work with global operations, production and technical services teams. In her new role, she will provide vision and strategic direction and enhance collaboration globally. Crichton previously spent time at Jack Morton, serving as director of operations in Boston and London over a 10-year period. As a result of these appointments, the agency also promoted Tom Michael to senior vice president, managing director of West Coast operations. Michael has a rich background on the client and agency sides and has been with Jack Morton for 14 years. He is a seasoned strategist and relationship builder and has been a key player in bringing in several key clients which have contributed substantially to the sustained success of the operation. According to research by CIMB, following Astro’s Investor & Analyst Day, the company can expect stronger earnings recovering in FY..